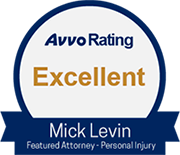 The lawyers of Mick Levin, PLC have extensive experience representing patients and their families in drug injury lawsuits. Given our many years of experience handling these types of lawsuits we know drug injury cases deserve special attention. At our law firm, we do not underestimate nor lose sight of the trust which is being placed in us by clients when they select us to represent them for their lawsuit against the responsible pharmaceutical company. Let our experienced lawyers help guide you through your prescription drug lawsuit process. Our lawyers have concentrated practice areas in many defective prescription drug injury cases. If you or your loved one were injured or became sick after taking a prescription medication, the drug injury lawyers at Mick Levin, PLC can help you to get compensated for your pain, suffering, and injury-related expenses. Contact us today. Every day, Americans are injured by side effects of dangerous drugs. For many, their only recourse is to file lawsuits against the companies that sell the products. Drug injury legal compensation cases involve personal injury or wrongful death claims filed on behalf of people who, unfortunately, experienced a serious side effect, had an adverse drug reaction, or died from their use of a prescription medication. When you're sick and injured, or taking care of a family member who is ill, you trust doctors to make the right decisions to help you or your loved one get better. However, some medications prescribed by doctors have ingredients that may cause additional health problems or drug side effects. Since 2000, the Food and Drug Administration (FDA) has approved an average of 24 drugs a year, including many that pose health risks and serious long-term side effects. The pharmaceutical industry makes sky-high profits that allow them to move quickly from one dangerous drug to the next. Due to the massive size of the pharmaceutical industry and the amount of money invested in new medications, drugs may enter the marketplace without adequate testing, resulting in serious injury or death for the user. When personal injury is sustained due to pharmaceutical drugs, whether prescription or over-the-counter, you may be entitled to financial compensation for your damages. Prescription drugs can save lives, but they can also come with unwanted side effects. Pharmaceutical injuries occur when a patient takes a defective drug, is instructed to take an improper dosage, is not properly warned about the drug's possible side effects, or is prescribed the wrong drug by his physician. If a drug company fails or attempts to hide a drug's dangerous side effects, or inadequate research and testing was done on the drug, this may be grounds for a defective products lawsuit. Pharmaceutical injury cases must be filed within a certain time frame, which varies state by state. If you or a loved one has suffered a pharmaceutical injury, you need the assistance of a law firm capable of fighting back against the giant, pharmaceutical industry. Mick Levin, PLC is on your side with the compassion and experience to help you. Call us today. IMPORTANT NOTICE AND DISCLAIMER: All articles and papers on this site are published for general informational purposes and do not constitute legal advice, nor create an attorney-client relationship between Mick Levin, PLC and the reader. The articles are believed to be accurate on the date written but may not be updated to incorporate changes in the law after the date of publication on the site, and therefore, any information contained therein should be researched and confirmed to assure currency. Phoenix, Arizona PI law firm, founded with the desire to obtain justice for victims of professional negligence, personal injury, and insurance bad faith. IMPORTANT NOTICE AND DISCLAIMER: Internet e-mail communications should not be employed for the transmission or submission to our offices of confidential, proprietary or otherwise sensitive information. When e-mailing us, please note that your communication with us through this website and e-mail does not constitute or create an attorney-client relationship with Mick Levin, PLC. Unless you are an existing client, any information you send to our law firm by e-mail will be on a non-confidential and non-privileged basis. Copyright - Mick Levin, P.L.C. All rights reserved. Arizona Law Firm - personal injury, professional negligence, and insurance bad faith.